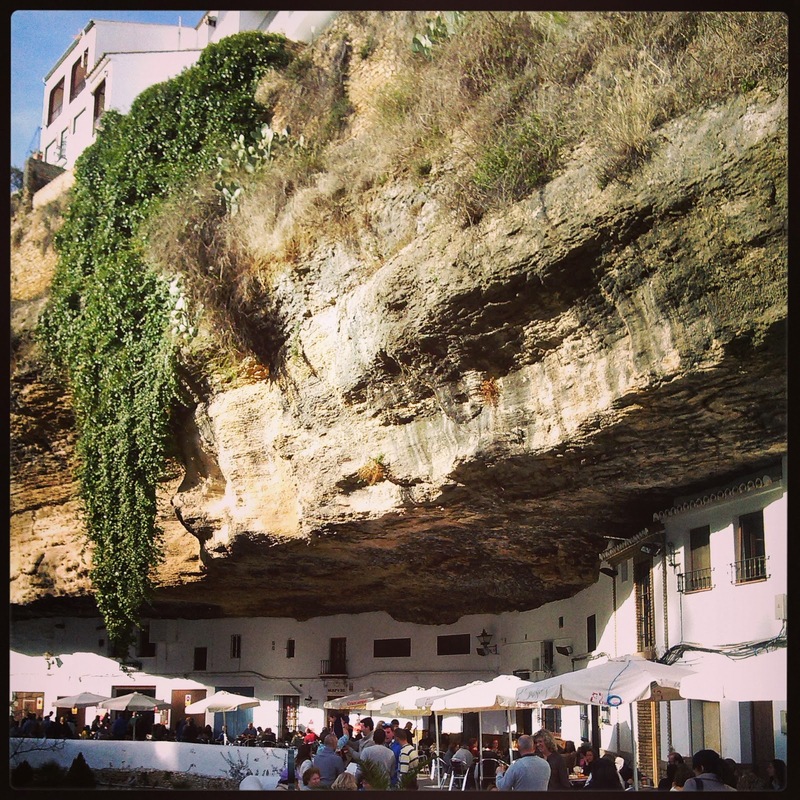 Setenil de las Bodegas is one of those amazing places that are just simply too stunning to be real. Why is it so special, you might ask? 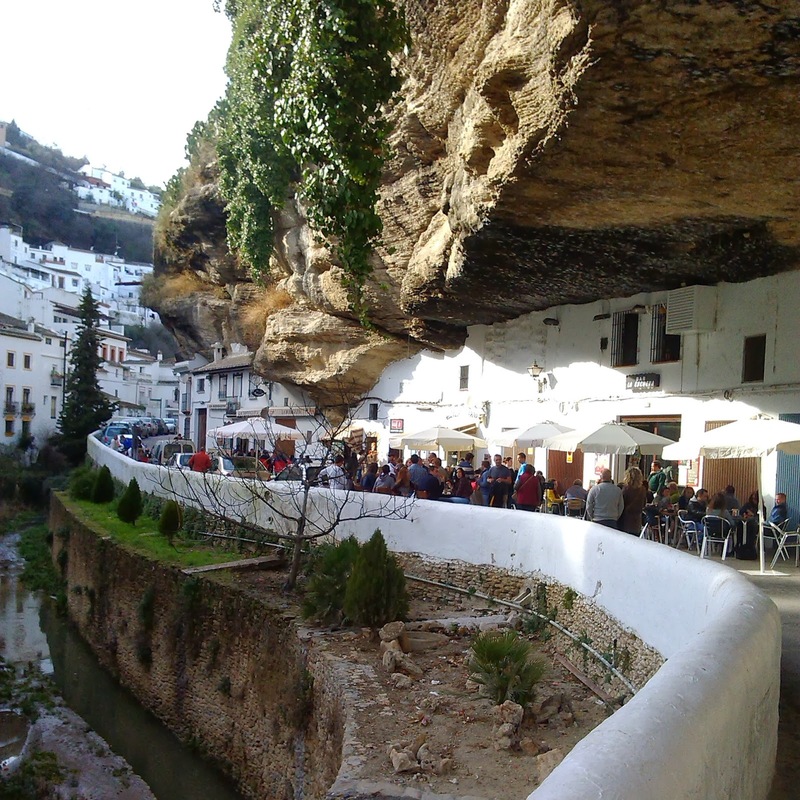 The setting of this white Andalusian village is very unique as it is built along the river gorge of Rio Trejo. Instead of building the houses on the top of the cliffs however like other people would do they build their houses INTO the rock walls! The village simply doesn’t look real! You walk on the streets and the sun is suddenly blocked by an overhanging rock wall. These bars are all caves that have been carved out of the rock. They are all tiny but there are a lot of them. Have a drink in one of them for the novelty of the experience. Setenil is quite big but there are signs that show you the way to the interesting streets. As the main street follows a gorge the houses were all built around and above it. The steep streets of the village often take you to places with great views over the river. It is worth checking out this unique place not only because of the rock walls but also because it’s a very nice looking ‘pueblo blanco’. If you follow the signs you will find this mirador, or viewpoint. Definitely a must-visit place! Among the many bars and restaurants we found a cute little shop that sold organic food products. We decided to taste the contents of two jars with interesting labels. The ‘chestnut mousse’ was an easy choice but it was a tough decision to choose between the mango-apricot or the strawberry-kiwi jam. After staring at the small jars for a few painful minutes I wanted to take both of them home but Paul put his foot down and took one out of my hands. The latter was put on the counter. The next morning I woke up early to get a fresh baguette from the shop and we finally tried our newly acquired products. Yum!